Hard water spots or calcium deposits develop wherever the minerals in you household water remain after the liquid evaporates. Faucets are a common place to find them. Vinegar is a good cleaner for this job. 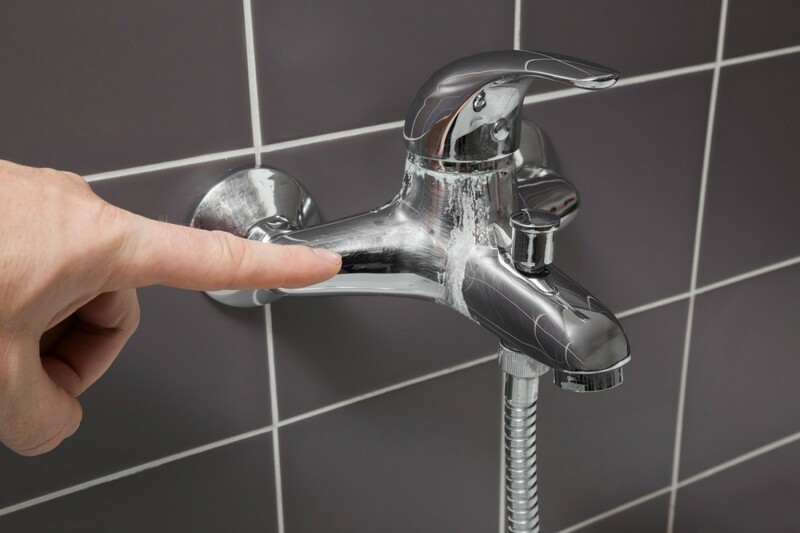 This is a guide about how to remove calcium deposits on faucets. How do I remove calcium deposits from chrome faucets? Depending on how big the area is, grab a washcloth/dishrag and soak it in straight-up white vinegar. Lay the washcloth over the area and leave it, the longer the better. Then just rinse and buff! How do you remove calcium deposits on a faucet? Vinegar is an acid, so you'll want to test a drop on an inconspicuous part of the faucet before you do the whole thing. Based on a review in Family Handyman I tried Bring It On Cleaner on my horribly stained faucets. I had to leave it on for a few minutes, but I'm satisfied with the results.